I love this card, even if I do say so myself. I distressed the edges of the pattern paper with sandpaper and scissors. 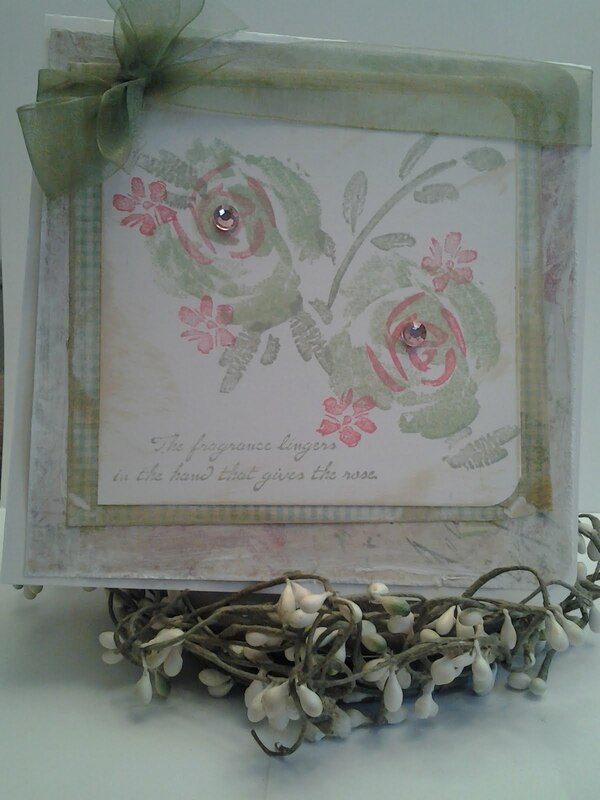 No need to pay alot of money for distressing tools when you have scissors and you can buy a pack of sandpaper for $1.00 Supplies: SU Rose In Winter set, SU cardstock: White, Ink: Mellow Moss, Passion Pink, Distress Paint: Tim Holz (white) Distress Ink: Tim Holz (Antiqiue Linen), Miscellaneous pattern paper, two pink crystals and a green ribbon. Just lovely Tammy. Love how you staged this picture. I love all things distressed so this really spoke to me. Great colors. Thank you Winnie! That is very kind of you. I am trying to add your "blog" to the list of blogs I follow but can't figure out how to put people there. 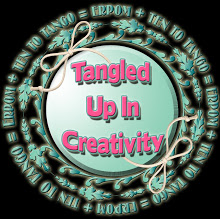 This whole blog thing is becoming irritating! But I thank you for your tips!